Rain stopped properly at about 3pm. But I got to the site at 2pm in a brief interlude. Thankfully I have shed sweets & drinks, comfy chairs (not that there’s room to put one up) and a radio. Sadly there’s no loo. Being stuck in the shed did let me see from the inside quite how far across the achocha is encroaching. 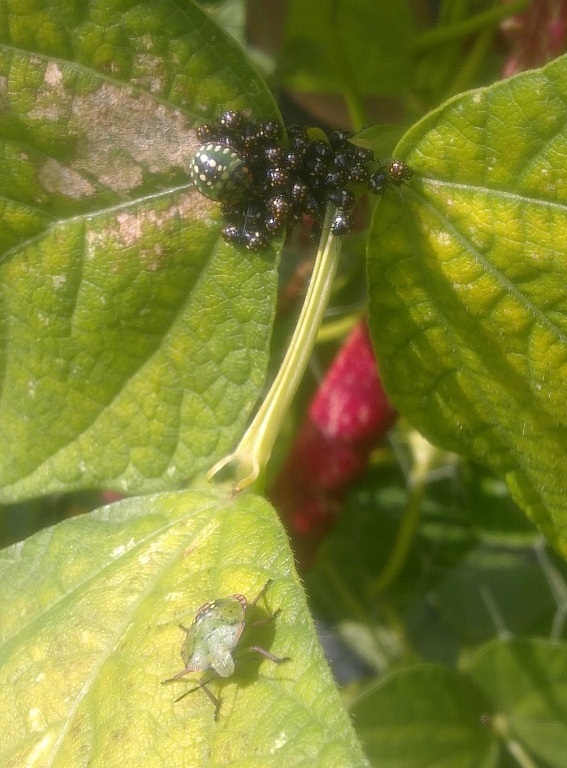 I think I have found what has infected my runners and now the borlotti too – southern green shield bug. I had hundreds of nymphs wandering about and mistook them for ladybirds. Am now squishing when I see them. RHS has them listed as a non-native invasive species, and they are apparently particularly bad on allotments and in London. Oh joy. The remnants of hurricane Bertha have knocked over most of my pots, my neighbours’ corn and beans and sent a waterbutt off to the bottom of the field. 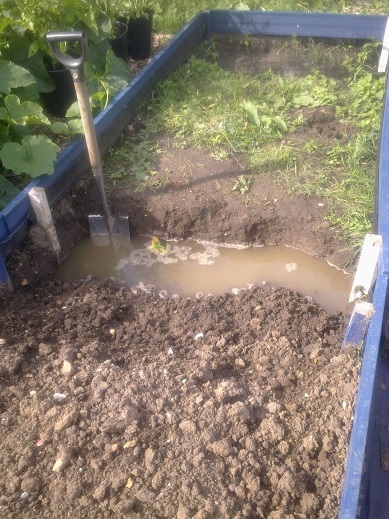 The rain had filled up the navy bed, though this time it took 16 watering cans to bail it out – I’m gingerly using a rusty can to fill the watering can and banishing all thoughts of tetanus. With help from Lionel, Andy’s bean teepee is propped up with my metal bird feeder for now, but it’s still listing like the tower of Pisa. I had some early signs of blight on a few of the tomatoes – have stripped the affected leaves and broken out the Bordeaux mix for those. I am hoping my ploy of dotting the others around the plot will mean the rest avoid it and I won’t have to spray them too, I dislike doing it. Spotted some squash that will open tomorrow – 1 Thelma, 1 Potimarron, 1 Black Futsu. All bagged and corresponding male flowers also bagged. I think I might have developed Compulsive Pollination Disorder. Apart from Crown Prince, which is an F1, I can’t seem to let them get on and do their own thing. PS potted up 40 strawberry runners in 36 pots. 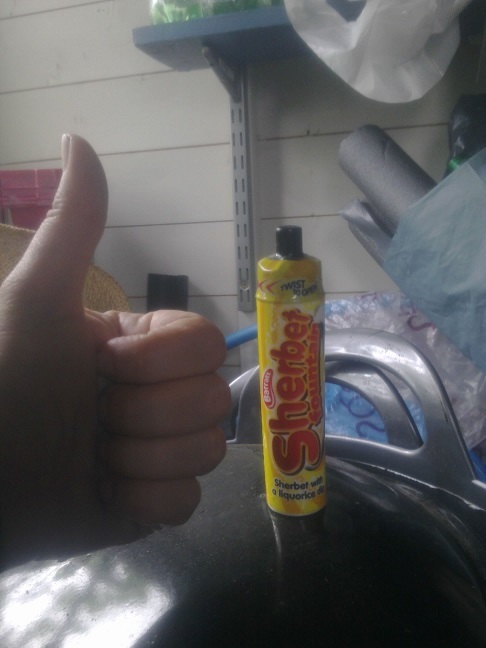 Ran out of pots.